UNIST Language Education Center organizes a series of communication workshops every semester to help UNIST members enhance their English language skills. A variety of lecturers from all walks of life will be invited to inspire students for English learning in particular speaking and writing. 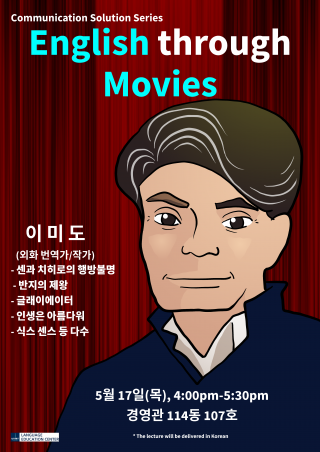 As part of its Communication Solution Series, Movie Translator Lee Mi-do will visit UNIST to deliver a special lecture on “English through Movies”.